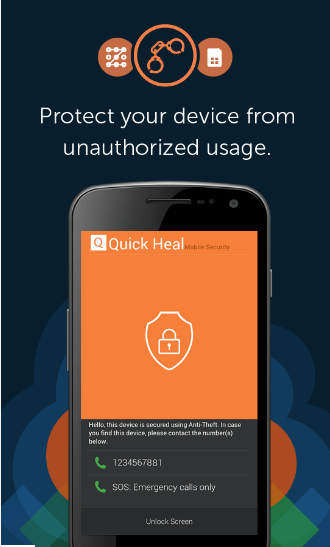 Enhance the security of your phone by installing Quick heal antivirus for android apk. 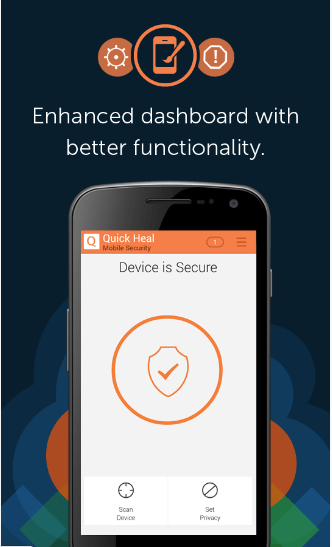 Quick heal is free antivirus security app for smart phones that has got tremendous features like securing your phone against viruses, malware, trojans, & other threats. By using anti-theft feature, you will be able to remotely lock your phone in case of lost. It also act like call & Sms blocker that will block calls from those contacts which are making you annoying. This mobile security app will analyze all the installed apps of your phone to check whether they can effect your phone data or not. It will also guide you through the ways by adopting them, you will be able to enhance your phone data. Quick heal will inspect every downloaded app for viruses. 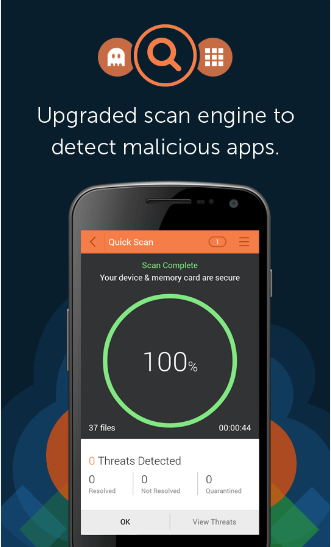 The antivirus engine will scan your whole phone for viruses & threats. As soon as it came across harmful programs, it will take appropriate action against them. It allows you to run either quick scan or a full scan. In full scan, it will in depth search for viruses by scanning every file & folder. Though it takes time, yet it is preferred to use that scan for enhancing phone security. By using anti-theft feature, you will be able to remotely lock your phone in case of loss or theft. In that case, you can either lock it under a strong password or can even remove whole data so that no body can take access to that data. This is one of the dynamic feature of antivirus security app. -With this feature, you will be able to block calls & messages from those contacts which are making you annoy or continuously sending messages. It also allow you to block contacts number starting with specific series. -With personal security feature, it will send sms to specific contact numbers in case of emergency. This feature will help to enhance your personal security. It will also take the snapshot of that person, who tried to access your phone in case of your absence. -It will tell you about permissions which other apps are using. It will also advise you when to grant these permissions & when not to. -It will also guide you about settings that might cause threats for your phone security. -By just tapping a single touch, it will give you access to different settings like Wifi, Bluetooth, etc. If you are using Android 5 (Lollipop), then you must switch your device to owner profile as this app does not work on guest profile.